Ivan was born in 1981 in Varaždin, where he took up music lessons with Desa Jovanović and Marijan Zuber. He began to study composition in a secondary school of music under the supervision of Davor Bobić. In 1997, he enrolled on the composition course at the Zagreb Academy of Music in the class of Željko Brkanović as the youngest ever student in the Academy’s history. Two years later, he also started studying conducting with Vjekoslav Šutej. He continued with further studies in seminars and masterclasses on conducting and choral conducting (under Klaus Arp, Krešimir Šipuš, Saša Britvić, Bertrand de Billy) as well as on composition (under Michael Jarrell, Goce Kolarovski, Joszef Soproni). His compositions have been performed in Croatia, Austria, Slovenia, Germany, Poland, Macedonia, the USA, Canada and Mexico. He has received a composition prize at the Prague-Vienna-Budapest Summer Academy and the Zagreb University Rector’sAward for the performance of his work Heads and Tails at the Music Biennale Zagreb. The Ministry of Culture of the Republic of Croatia has recognized his effort in the promotion of Croatian music by giving him an award. He has worked continuously with several renowned foreign artists as well as with a number of Croatian musicians and ensembles, and has composed music for the theatre. At Music Biennale Zagreb 2011 his opera Stribor’s Forest had its first performance in Croatian National Theatre Ivan pl. Zajc in Rijeka with numerous performances in the 2011/2012 season. As a conductor, he has given successful performances with a number of Croatian choirs and orchestras. Having become chief conductor of the Palma Collegiate Choir in 2004, he led them to winning the first prize three times at a national choir competition and the first prize at the international choir competition held in Ohrid in 2009. A s a conductor, he has dedicated himself to giving the regular and first performances of the works composed by contemporary Croatian authors. 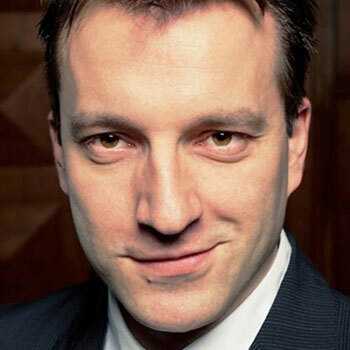 Skender works at the Croatian National Theatre in Zagreb as the Opera choirmaster and at the Zagreb Academy of Music in the position of Assistant Lecturer at the Department of Conducting, the Harp and Percussion. He is currently in the class of maestro Uroš Lajovic at the Vienna University of Music and Performing Arts. White line fever is a slang expression for highway hypnosis, a trance-like state in which the driver’s conscious mind is apparently fully focused elsewhere. It’s a relatively common experience, where the conscious and unconscious minds appear to concentrate on different things. I’ve spent last several years mostly travelling all over Europe, meeting and working with young musicians from all over the world, sharing experiences and thoughts, playing or conducting musical pieces both traditional and exotic… But, always pressed by work, deadlines and long distances, the only time and place left for me to reflect on music, people, experiences and my own thoughts was in the loneliness of the hotel room or the long highway in between cities. In those moments, the reflections on music, the sounds of the highway and sounds of different radio stations would intermix with different results.